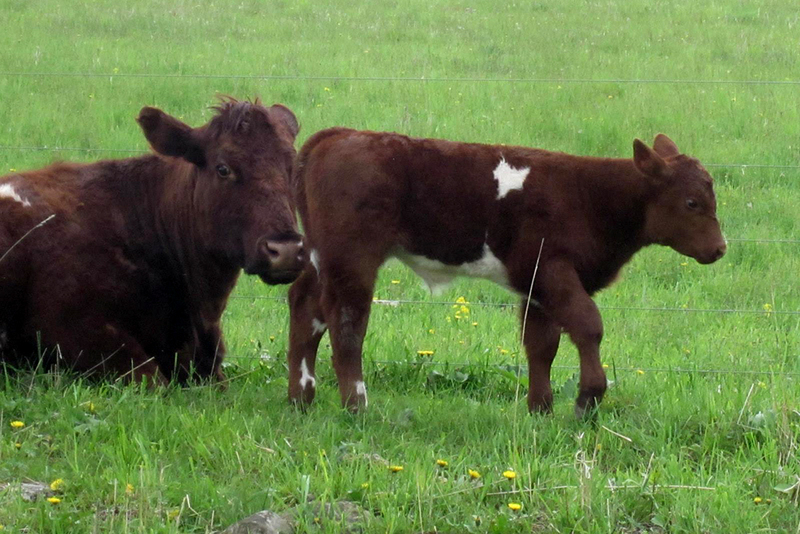 Our small herd of purebred Shorthorn Beef cattle are raised for both meat and breeding purposes. Deep red in coloring with white markings, our cows are flashy in the show ring and have a natural mothering instinct. This allows us to have a general hands-off approach when it comes to the calving process, intervening only when necessary. We are currently only selling steers for meat and bulls for breeding. 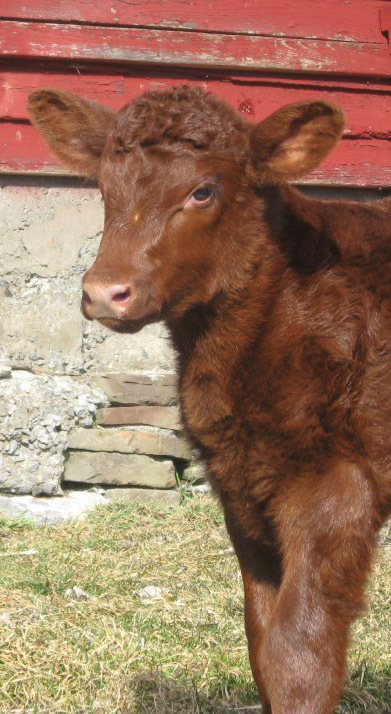 Custom orders can be placed for a whole or half of a market steer. Because of our small herd size, we also work with a member of our extended family, who operates Double S farm in Delaware County. If we don’t have a steer ready for market when you’re ready to buy, we will contact Double S to fill your request. Our beef cattle are pasture-raised, eating mostly grass and hay; however, to finish our steer for market, grain feeding is required.